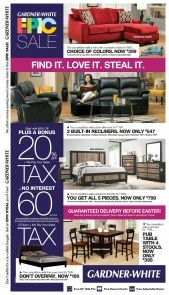 Payment of $30/month with no interest for 60 months requires a down payment equal to sales tax and delivery (if applicable). For $0 down payment, a total of $1,897.39 will be financed with equal payments of $32/month with no interest for 60 months. Estimated based on initial lease payment of $40.38 plus 78 weekly lease payments, not including sales tax or any optional delivery, warranty, or liability damage waiver (LDW) fees. 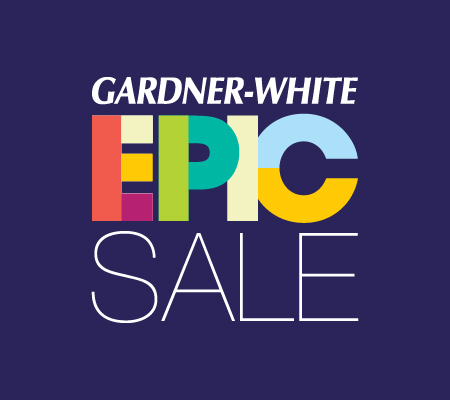 Unless you exercise your early purchase option, your total cost of ownership will be $3,149.64, not including tax or any optional delivery, warranty, or LDW fees. 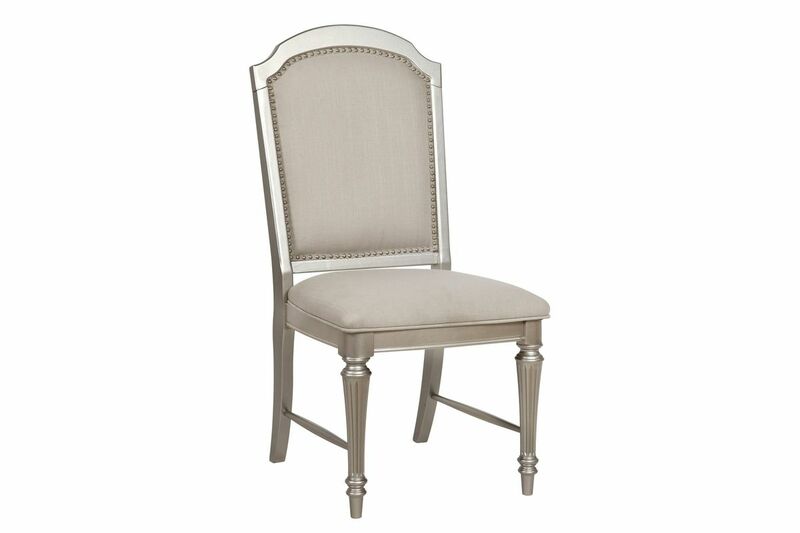 Fashioning a grand statement has never been easier. 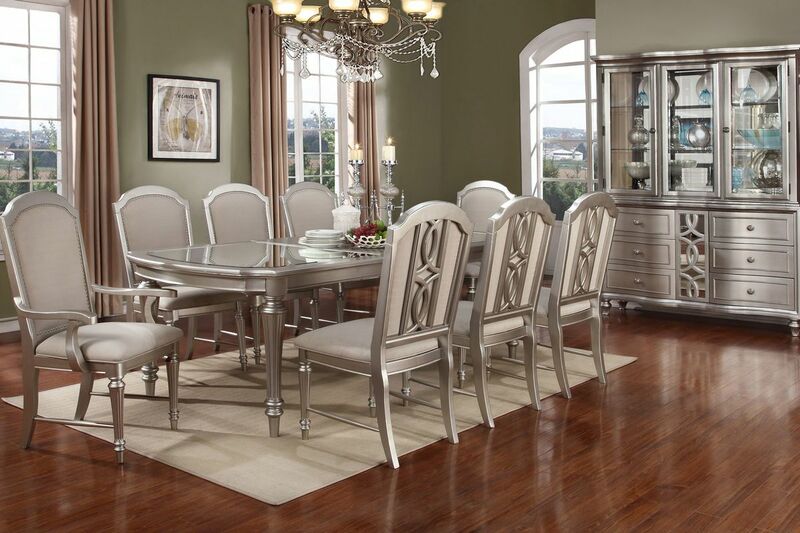 The Colleen Collection brings glamour to any dining experience with its pearlized, platinum finish and its many decorative touches, including fluted legs, pierced molded back splats and beveled mirrors. Further enhancing the collection's distinctive style, all drawer interiors are finished in Avalon's exclusive, Regency Red™, the ultimate personal design embellishment. 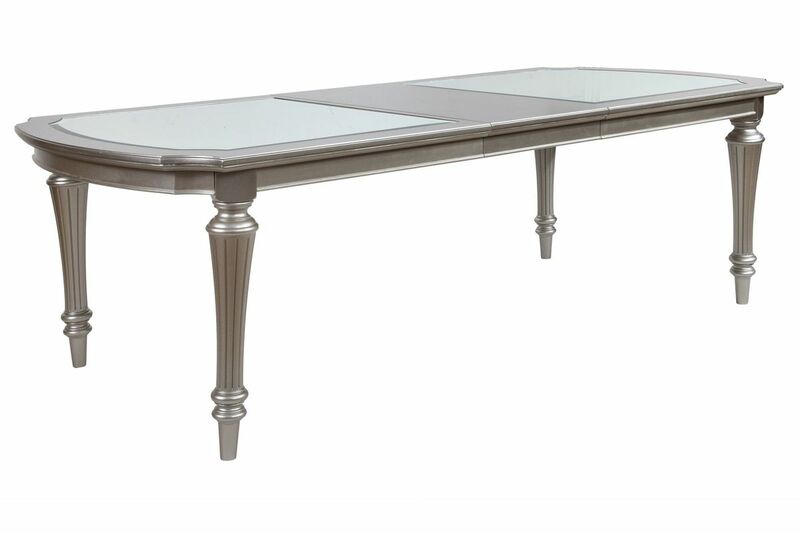 The Colleen Table features included beveled glass inserts in top, clipped corners and massive fluted legs. 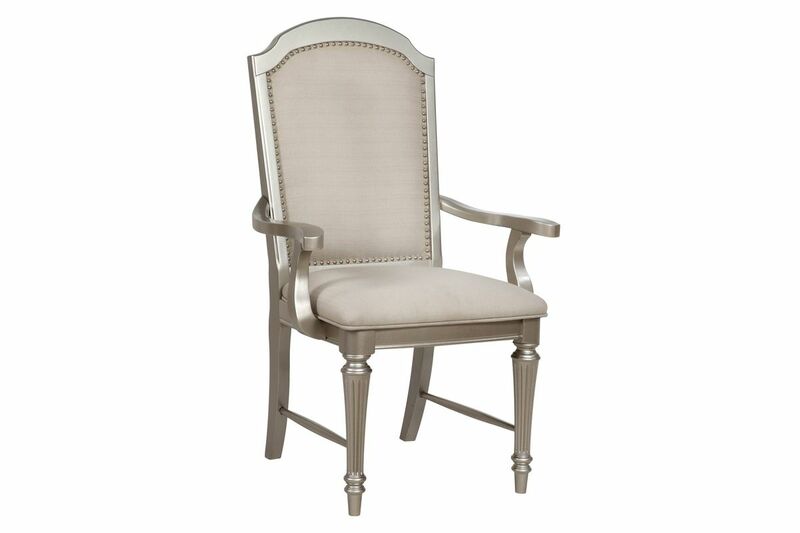 The Colleen chairs are upholstered in easy-care fabric. *Two 18" leaves; leaves do not have mirrors.